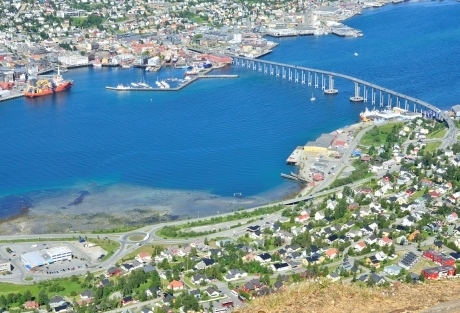 Home to the world’s most northernmost university and a population of 70,000, Tromso is known by many names, including Gateway to the Arctic and Paris of the North. Tromso is known primarily as a pulsating city with a vibrant nightlife, sociable and inclusive people and being one of the world’s most urban cruise destinations within Northern Europe. The city’s growth started in 1972 with the opening of the world’s most northern-university. In terms of shore excursions, the city has several popular attractions that can handle a large volume of cruise passengers that are suitable to adults and families alike. The cable car takes guests 421 metres above sea level in order to gain a panoramic view of the distinctly beautiful mountainous landscape. With the city of Tromso being so rich in Polar history, no visit would be complete without a wander around the Polar Museum and the Sami exhibition at the Tromso University Museum. The iconic Northern Lights can be experienced in the city when it is dark, and when it is daylight, you can view them in the North Norwegian Science Centre at the University of Tromso in a 360 degree dome. Have you been to Tromso? Tell us your hints and tips for visiting this great city using the form below.